Which Way Is the Front Line from Here? Which Way Is the Front Line from Here? 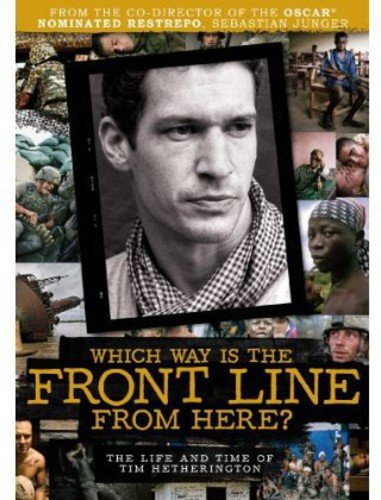 Documentary about photojournalist Tim Hetherington, directed by Sebastian Junger. Together with his friend and long-term collaborator Junger, Hetherington travelled the world documenting conflicts in Afghanistan, Liberia and Libya, among other locations. Best known for their 2010 film Restrepo which was nominated for an Academy Award, the two strived to capture the humanity within conflict situations and with their images they focused on the individuals involved and their experiences of the violence surrounding them. But in 2011 Tim was killed by a mortar blast in the city of Misrata, Libya. This film is a tribute and celebration of the legacy he has left behind, including interviews with those who knew him best.